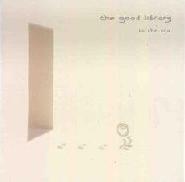 The Good Library - "Dalai-Lemma" / "To The Sea"
The Good Library are a very chaotic group of people from Austria who play some very weird music. That is how they describe themselves. The Dalai-Lemma is a 10 track full length CD, while To The Sea is a new 4 track CDEP. Some of the tracks are very short instrumentals while others have spoken words melted into pretty strange spaced out music of a psychedelic nature, certainly strange and unconventional. Sometimes minimalist, with just bass and guitar and very low keyboards. Most of the tracks are quite short. Just as I thought they had something going they stop, which is kind of annoying. An unfinished idea? It would appear they have a lot of unfinished ideas that end up as 2 or so minute pieces. 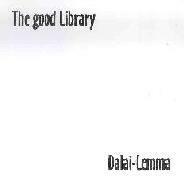 The Dalai-Lemma does not actually have any drums or percussion until track 7 ("Yeah Yeah Yeti") and this is a very fuzzed out basic rock track that was clearly some sort of weird jam. Not sure how much I liked this as it seems like just ideas that never got developed. The To the Sea EP, starts with a In the Sun and a totally different production quality from the other material and is a psychedelic rock song with very cool warped out synth line and fuzzed out guitar. I thought they were really going here but then it is over at 2:18. The title track reminds me of the Spacious Mind's laid back spaced songs based on that addictive psychedelic organ. This is a very cool song but again only like 3 minutes long. "AC/DC" is next and a psychedelic space rocker for sure! The vocal reminds me a bit of Dr. Brown. Again, this song is just over 2 minutes long. "Nothing To Be Afraid Of" ends the EP. I really liked this strange psychedelic EP a lot and it is quite different from the full length Dalai- Lemma, but why such short songs? I wonder if the band are scared to make songs longer than a few minutes for fear of what they might find?? For more information you can visit The Good Library web site at: http://thegoodlibrary.com.